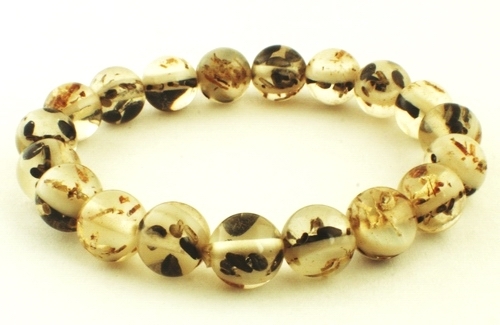 Sorry, we are currently sold out of 'Distinctive White Amber Bead Bracelet'. Please check back later. This beautiful bracelet is crafted from 10mm manmade amber beads - measures 3-inches diameter, but expands to fit all. Beautiful shine with natural amber look. What took nature millions of years to create, can be yours in an instant!